Bowling is one of the most favorite sports when you are looking at a grand level of excitement and fun. There are different bowling clubs out there that host bowling tournaments or contests for the bowling enthusiasts out there. 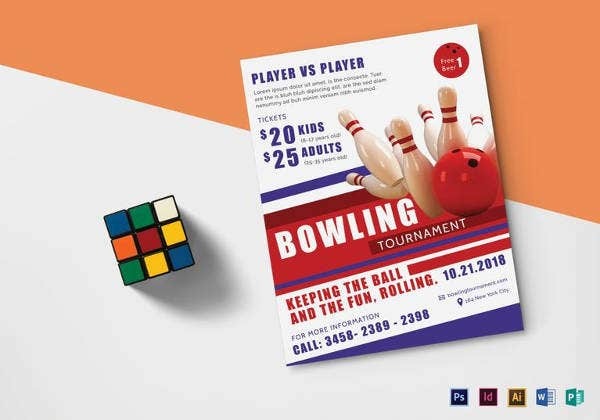 If you own such a club or if you have a store dealing with bowling supplies and you are looking forward to promoting your upcoming bowling event or latest bowling pins- flyers are a great promotional medium. 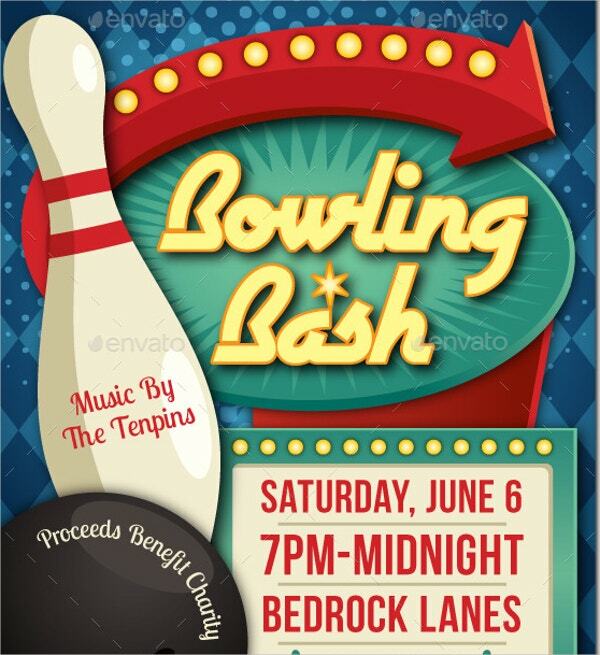 These days, you even have pre-designed bowling flyer template options for your flyer inspiration. These flyer templates are easily modifiable. 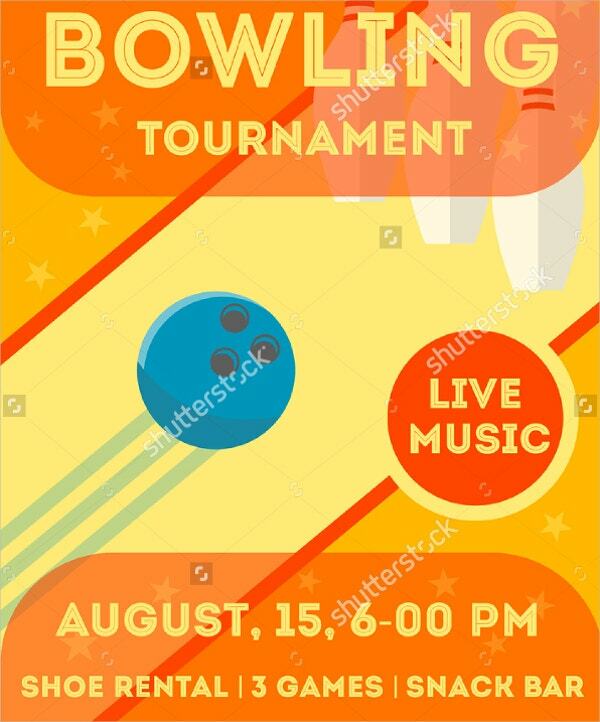 The purple ball looks gorgeous and altogether with the bowling pins and notes flying around, this flyer creates an impression of a very exciting bowling competition. You can include all the basic details about the tournament here. 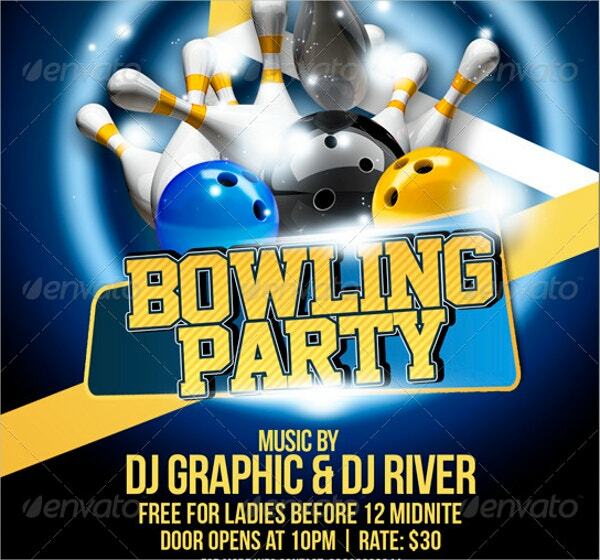 If your bowling club is planning a grand bowling night complemented by an electrifying DJ performance, this bowling night flyer will do the work for you. The blue ball looks glam and the sneakers talk about a feet-tapping night. 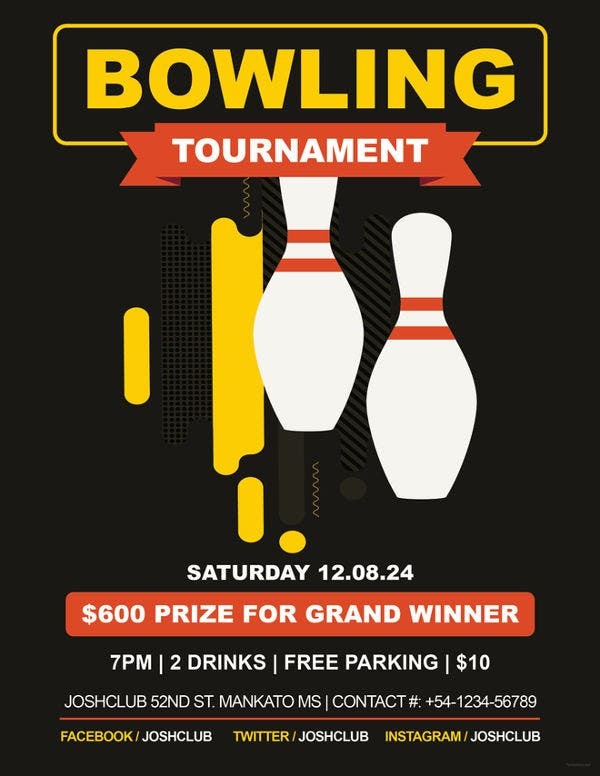 If you are looking for a classic retro feel for your bowling tournament flyer, this flyer template fits the bill well with its simplistic old-world feel & faded yellow backdrop. The bowling pins toppled over one another gives the feel of a strong thrust by the bowling ball that immediately reminds of a great bowling party. 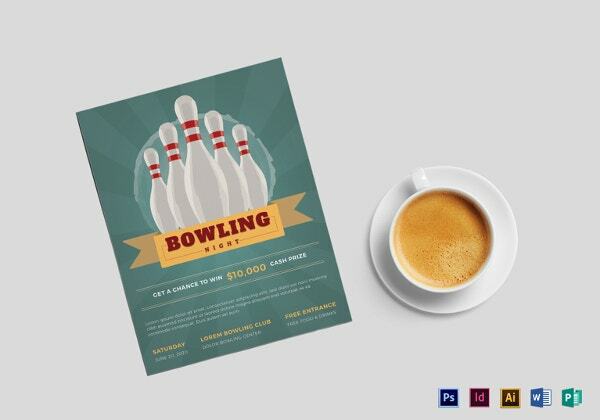 The flyer template comes in four color options and would be great for a bowling store as well. The glittering background, the happily tossed bowling pins and the flamboyant ball altogether have created the perfect image of a thrilling tournament. 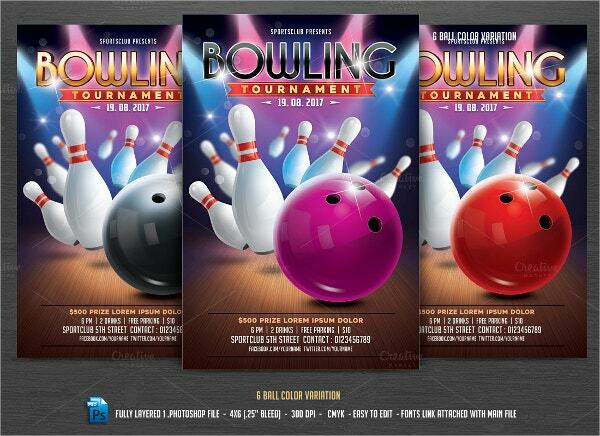 The flyer template comes with 6 variations for ball color. 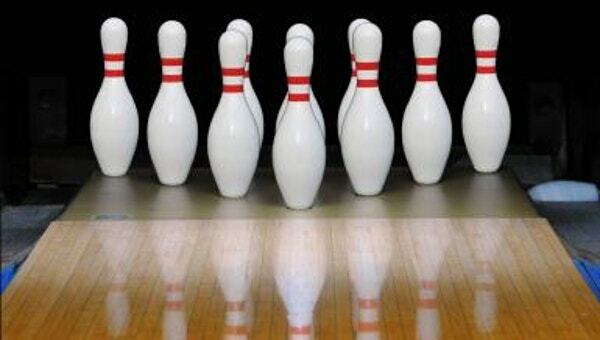 The bowling pins right in order and with the ball rushing towards them set the great prelude to an amazing bowling event. 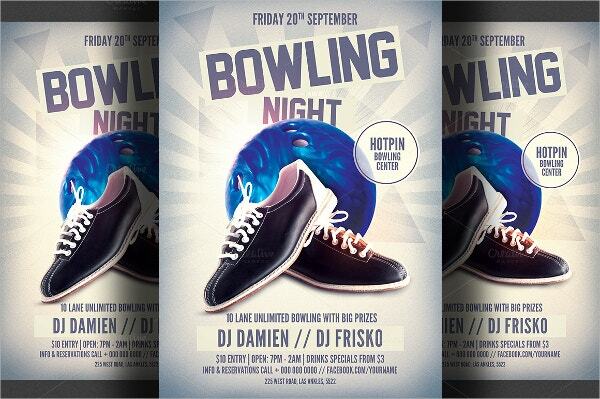 The flyer template could be used for bowling-themed birthday parties & competitions. 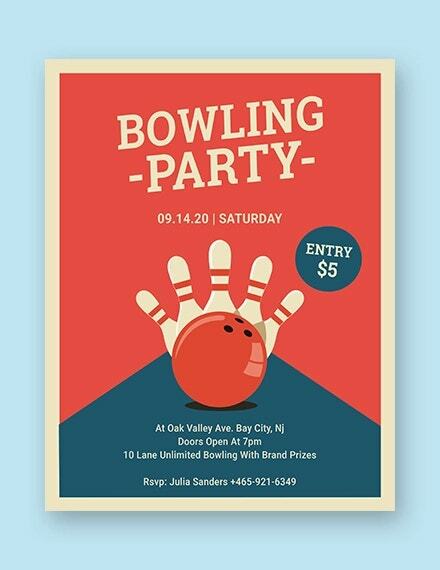 This bowling league flyer template carries a charming retro look with its faded green background and old-world artwork. 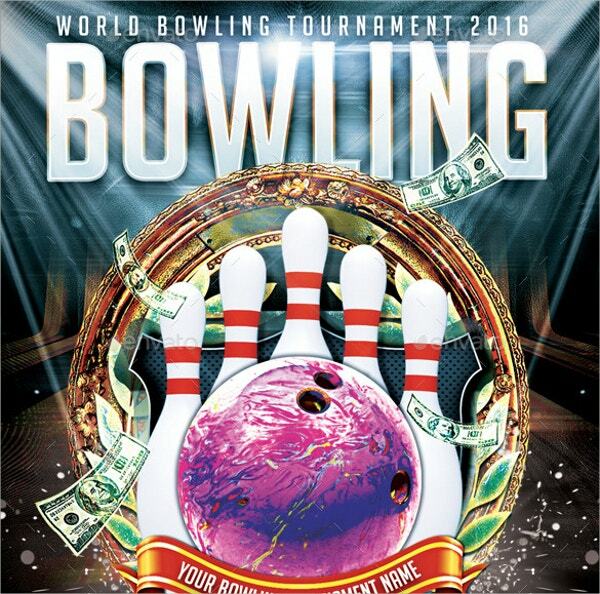 You have sizeable space here to include the date and venue of your bowling event. 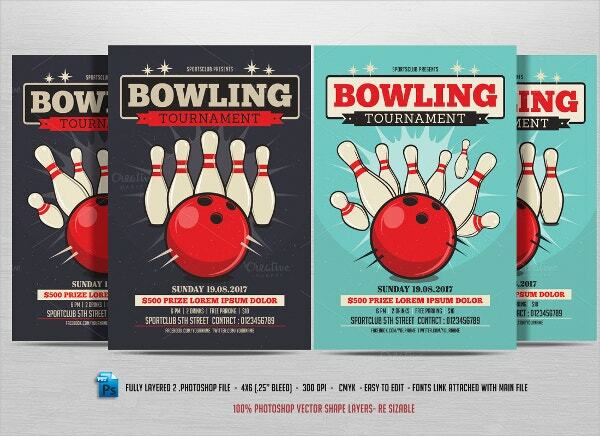 This bowling flyer template comes with a quaint vintage look to add on some drama flavor to your bowling tournament flyer. The fully editable template comes in two color variations. 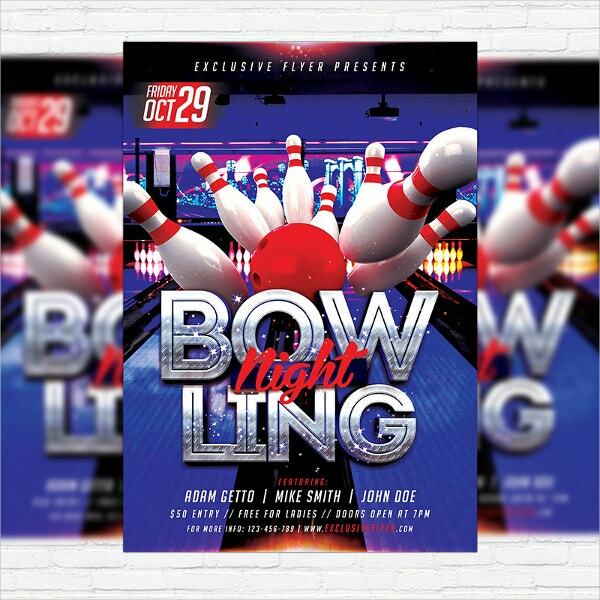 The glam and glitz around set the perfect backdrop for this bowling match flyer and the glittery silver font at the front duly complements the overall ambience. 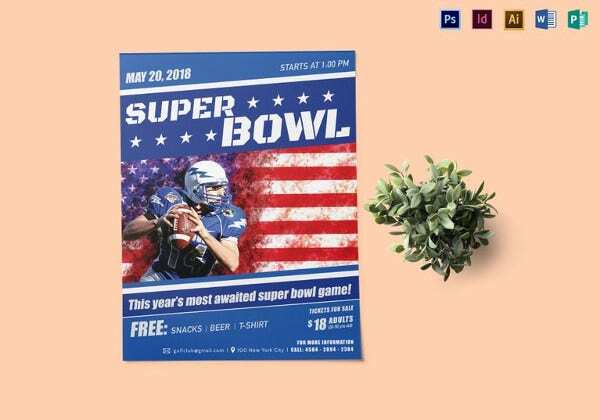 This PSD template offers you enough space for the entry fee, call number and other basic details. 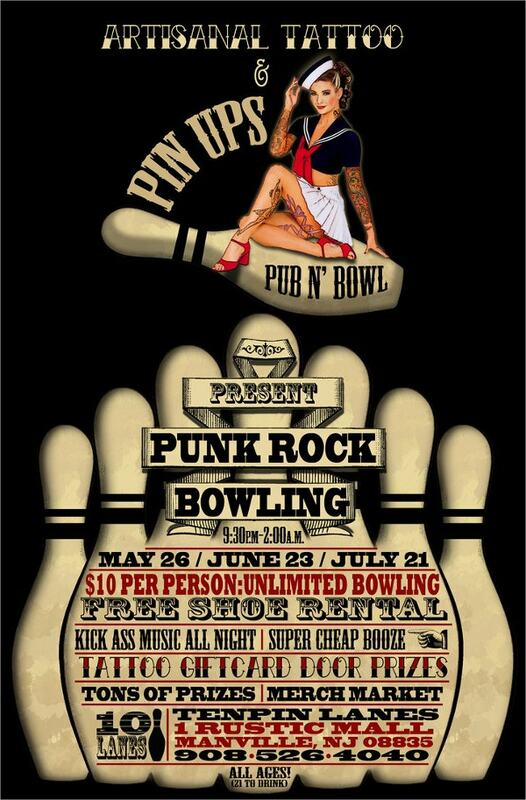 The tattooed lady striking a stunning pose over a bowling pin beautifully complements the old-world cool aura of a punk rock theme and the flyer template would be great for your punk rock bowling party. 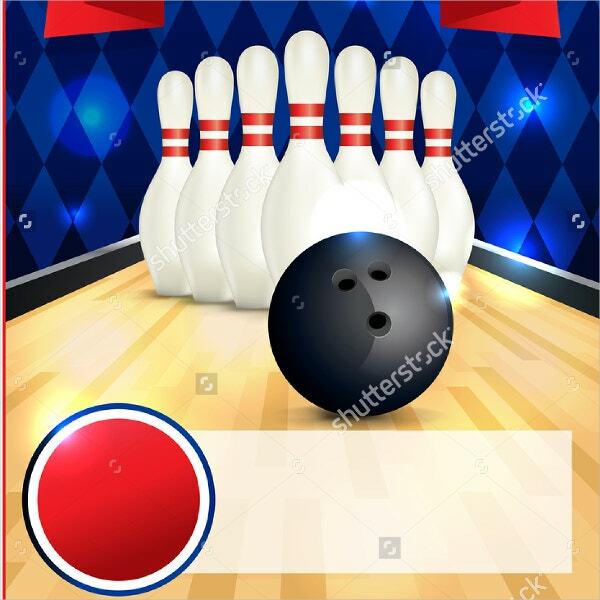 The smooth bowling board and the shining ball instantly reminds of all the bowling fun of a great bowling party. At the bottom of the flyer, you can easily detail about the slogan, entry fee, freebies and venue of your bowling contest. Flyers are a great way to spread the word about your events or business. 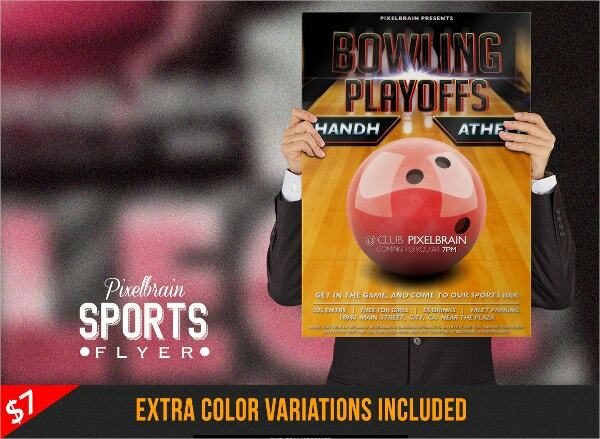 If you are into bowling business and have to inform your audience about it, there are sports flyer templates, especially dedicated to bowling flyers for your help. From retro to glam, these templates come in various designs.